Recently leaders of the party in power met Hussain Mohammad Ershad, a former President of Bangladesh. After discussion he agreed to join the four-party alliance on the demands of fulfilment of certain conditions including withdrawal of criminal cases against him. But to withdraw the criminal cases must have so much of legal implications. The lawyers, legal experts and members of civil society have raised a number of questions. Can the government withdraw criminal cases by executive order? Does this act of government violate Article 27 of Bangladesh Constitution? Is this act tantamount to interfering with the functions of judiciary? Does it hold good future for democracy and legal regime? Will it jeopardise the rule of law? The erstwhile Bureau of Anti-Corruption got 28 separate allegations against Ershad. Officers of the Bureau investigated the allegations and gave final report in eight cases because they did not get sufficient evidence in support of the allegations. Two allegations are now investigated by the newly established Anti-Corruption Commission. In one of the two cases Ershad is alleged to have transferred 100 crore taka unlawfully through a bank of Hongkong. The other case is related to corruption involving two hundred crore taka. The Bureau gave charge-sheets in 18 cases. Among these 14 cases are under trial in different courts of Dhaka and Chittagong. Court is taking witnesses in the murder case of General Monjur Hossain. 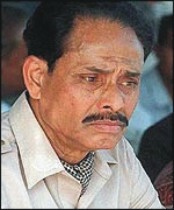 In the Janata Tower case the Appellate Division of the Supreme Court finally approved penalty for Ershad. He was given five years sentence and fined five crore taka and another two years sentence in case of non-payment of the fine. Ershad served a sentence of 3 years 7 months gave 26 days in this case, so, the Appellate Division remitted the rest of the sentence. The court maintained the amount of fine and another six months sentence. After serving four months, Ershad came out of the prison without giving the remaining amount of fine. Bangladesh Legal Aid and Services Trust filed a writ petition against the unlawful release order of Ershad that compelled the government to file a suit for realising the amount of fine. This case is under trial. During the proceedings of the Janata Tower case Ershad tried to influence one Judge of the Supreme Court and thereby involved in cassette scam case, in which the court gave him a sentence of six months. Ershad was also given three years sentence and fined 10 thousand taka and another 4 months sentence in case of non-payment of the fine in the suit relating to the corruption in buying a Japanese boat. In the above two cases appeal is pending with the High Court Division. Ershad was shown arrested from December 6, 1991 on charges of corruption, tax evasion, abuse of power and conspiracy of murder. After arrest cases were filed against him in different courts of Dhaka and Chittagong between 1991 and 1993 on different grounds including different charges of corruption. All the cases were filed by the Bureau of Anti-corruption, except one, which was filed by Hasanul Haque Inu against Ershad for usurping state power. The recent assurance of government to withdraw cases has sparked huge repercussions among the people including the legal community. The people are apprehensive of such a wholesale withdrawal of corruption cases against a notorious usurper. Here an attempt has been made to enquire into the matter how far the government can exploit the legal provisions in its favour, how lower court can safeguard its independence by exercising its lawful jurisdiction, how higher judiciary can come forward to minimise the abuse of power by the government and unscrupulous exercise of jurisdiction by the lower courts. Sub-section (4) of section 10 of the Criminal Law Amendment Act, 1958 authorises withdrawal of prosecution in respect of any offence or offences against any accused with the order of the government in writing. A Public Prosecutor can seek withdrawal of the prosecution only when instructed by the government in writing. Section 494 of the Code of Criminal Procedure is the relevant provision regarding withdrawal of prosecution which runs as -- Any Public Prosecutor may, with the consent of the Court before the judgment is pronounced, withdraw from the prosecution any person either generally or in respect of any one or more of the offences for which he is tried; and upon such withdrawal (a) if it is made before a charge has been framed, the accused shall be discharged in respect of such offence or offences; (b) if it is made after a charge has been framed, or when under this Code no charge is required , he shall be acquitted in respect of such offence or offences. The court concerned must give its consent to the withdrawal of case by applying its sound judgment. This consent must be free and without any pressure on the court. As the one, of withdrawal is a judicial order, so it should be made on strong ground. Any whimsical or capricious order is not desirable. [ 28 DLR 386, 20 DLR 518] The consent of the court under section 494 means free consent. If the order of withdrawal is capricious and if the court gives the order without judicious consideration and reasonable ground, the High Court Division can inquire into the matter by its revisional jurisdiction. The present government can instruct the Public Prosecutors concerned to apply to the court for withdrawal of cases filed against Ershad. But the government cannot put pressure on the courts to agree to the withdrawal of cases. If government pressurises the courts, it will be clear interference in the activities of judiciary. Independence of judiciary is the hallmark of democratic polity and the key to proper functioning of the rule of law. Violation of this independence will have serious repercussions that can jeopardise the smooth functioning of democracy. If the cases are withdrawn, any citizen can file a writ petition under Article 27, which provides that all citizens are equal before law and are entitled to equal protection of law. It combines the American concept of equal protection of law and English concept of equality before law. The equality provision of the Constitution connotes that among equals law shall be equal and shall be administered equally. All citizens in the like circumstances should be treated equally and no discrimination should be made in conferment of privileges and imposition of liabilities. Article 27 entrenched the rule of law, which was the prime objective of establishing Bangladesh and also enacting a democratic and secular Constitution of Bangladesh. Moreover, one can invoke Article 31 of the Constitution, which provides that the citizens and the residents of Bangladesh have the inalienable right to be treated in accordance with law, a law that must fulfil the tests of both substantive and procedural due process. The present government cannot withdraw the cases filed against Ershad, because those were filed according to their instruction when they formed government in 1991. Once they instructed to file the cases for penalising the 'worst usurper', now if they try to withdraw the cases, it would easily bad one to assume malafide intention. It will be clear violation of democratic morality. Under the provision of law the government can only instruct the Public Prosecutors to apply to the courts to withdraw the cases, but cannot put pressure on the courts to consent to the withdrawal. By manipulating the legal process if the government withdraws the corruption cases that will violate equal rights of citizens and the independence of judiciary. That will, certainly, not bring any good to democracy and rule of law. The writer is an Assistant Professor, Department of Law, University of Dhaka.